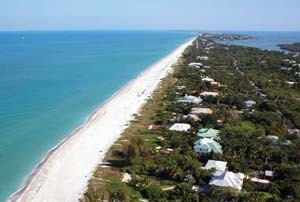 Sanibel Island Real Estate, Captiva Island Real Estate - Why people come here! There are lots of reasons why our islands are so busy! We not only offer a reprieve from that "up north" polar vortex, we have lots of things to do and see. Many of our resorts and condos overlook the Gulf of Mexico, which means you have many miles of beach at your feet. If you are not located on the beach, Sanibel has many beach easements and public parking areas. Our beaches are also world famous for shelling. Rare and unique shells are found all the time! If you want to learn more about shells, our Shell Museum is worth the visit! You can also visit our historic Sanibel Lighthouse located at the eastern end of the island. Parking is plentiful at the lighthouse, and just a short walk from the lighthouse you can check out the Sanibel Fishing Pier. You only have to watch people fish for a few minutes to see someone pull in a catch! Currents and the location near the causeway make for a great day casting! Watch! Introduction to Sanibel video! If you don't feel like driving, our island has over 20 miles of mixed use trails. Biking, jogging, or walking will get you just about anywhere on the island! You can also take a Segway tour (instructions included) from one of our local bike rental companies. Getting around on our islands can be fun and healthy! 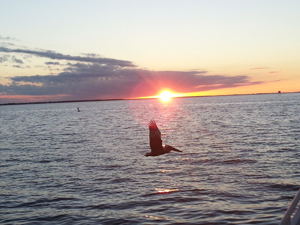 If wildlife and a natural environment interests you, Sanibel is over 60% preserve property. We have miles and miles of trails to explore, as well as world famous birding. Our most well known wildlife preserve is the J.N. "Ding" Darling Wildlife Refuge. The Refuge is part of the largest undeveloped mangrove ecosystem in the country. It is famous for its migratory bird populations and is easy to explore. You can check out the refuge either by car, bike, tram or by foot. Three trails can be accessed off of the four-mile Wildlife Drive The four-mile Indigo Trail, the quarter mile Shell Mound Trail and the quarter mile Wulfert Keys Trail. There is also a Visitor's Center with lots of exhibits and even an interactive area for kids. The Ding Darling preserve should be a must-see on your list of things to do. Thousands of birds can be seen feeding in the shallow waters, and you might get to see a gator or two along the way. Video of the Ding Darling Refuge! When you need some down time for a bit of shopping, our local shops are plentiful and offer lots of island related products. Just about all our shops are owned by island residents who are more than willing to tell you about the island and to point you in the right direction if you ask about the best locally owned restaurants. Periwinkle Way is a great drive for checking out some of our best shopping locations. From shell shops to fashion, Sanibel has lots to offer! If you are interested in Sanibel history you can check out the Sanibel Historical Museum and Village located at 950 Dunlop Road (off Periwinkle Way). The village is a fun place to visit with your kids. Many of our oldest buildings, including our school house built in 1896, have been moved to the Village to help preserve our history. Sanibel was once mostly agricultural and a fishing community. Before the causeway was built (finished in May of 1963), residents used a car ferry to get to the island, which was mostly unpaved and undiscovered by northern tourists. Captiva Island is also a must-see when visiting Sanibel. 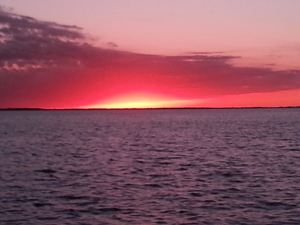 Just to our north the small island of Captiva has much to offer. Some of our best restaurants are on Captiva, as well as four marinas with boat rentals, fishing and shelling guides. The short bridge crossing Blind Pass from Sanibel to Captiva is a favorite spot for shelling, fishing, or just relaxing on the beach under an umbrella. Parking is also available at each end of the bridge. There is so much more to our islands than many people realize! We love it here and I would like to help you "love it" here too. We have a full inventory of properties for sale. Whether you are interested in a home, condo or a vacant homesite, I'd love to show you around and locate the best property that fits your criteria. The national housing crises is over and prices are now starting to go up. Banks are loaning and sales this year are on the rise. Sanibel Island is the place to be, so please call me today and I can start the search! If you want to start the search yourself, my website offers a great place to start. I have a section about our condos, one showing our residential neighborhoods, and even a "Welcome to Sanibel" and "Welcome to Captiva" videos! Give me a call today at 239-691-4915, or use my Contact Form! Let's get to work finding you your place in paradise!